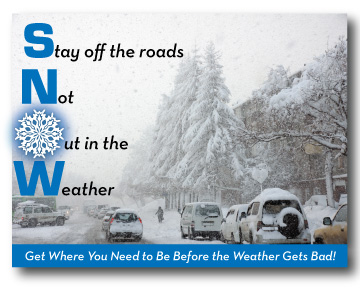 For the 2011/2012 winter snow season, the region's public information officers are coordinating a new, regional snow message, "Get where you need to be before the weather gets bad." Additional public service announcements and resources for the public related to snow will also be posted here and shared through COG's social media pages. In December 2011, the U.S. Office of Personnel Management (OPM) updated its Dismissal and Closure Procedures. To view the procedures, click here.